Its spooky day today and we’re on the subject spooky possessed refrigerators. Some refrigerators and freezers get the shakes or rumbles. Sometimes, they’ll even DIE! Don’t worry, we’re here to exercise these problems and even possibly bring one back from the depths of the graveyards! However, preventative measures are the best first steps to avoid unwanted ghastly possessions or untimely ends to your appliances. Use only DC parts within the rated specifications of the appliance. Do not attempt to connect any parts to wires, accessories, or other rated objects that was originally meant for AC use. Just because you have spare parts, shouldn’t mean you should use them! Follow the regularly scheduled maintenance outlined in your manual. Ensure there are appropriately selected breakers at all the junctions of your solar setup that would feed into your Voltray appliance. When you ever transport your appliance, let it stand for an hour or two before connecting it back again. If you ever have the appliance sideways (please don’t if you can avoid it) leave it in the upright position for a day or two before turning the unit back on. Disconnect your appliance from the power source. Wipe down the interior and dry. We wouldn’t want anything funky when we come back for it later! “I did all that and my refrigerator/freezer still ended up being possessed/died” Well… unfortunately storing Garlic only prevents vampires, and I want to say that these refrigerators (at the time of this writing) is 100% vampire proof. We’ve had zero instances of vampires getting inside. We understand that things happen that are beyond your control, *squints* sometimes they are completely in your control. Don’t worry, we’ve got you covered. These are your first steps! Reach out to the dealer in which you’ve purchased your unit from and pull out your original receipt. If your unit is still under warranty then its wonderful news! We can take a look at it for you. If it‘s an easy fix, we’ll try to get you up and running as soon as we can. Your unit is under warranty and you’re close to a service depot? T0hen we can just have it serviced and voilà! What if you’re out of warranty? Well, you should still follow these steps. Reach out to your dealer, they’re your main line of contact and they might even be able give you some deal? If your dealer cannot provide additional support, then you can reach out to us. Give us some time to deal with what’s going on and we can work towards a solution together. Do not be tempted to go with a third party service person. DC refrigerators are different from regular AC refrigerators. The more that someone pokes around, the more damage they might be unintentionally do to unit. More damage = more repair cost. That’s something that no one wants. If your refrigerator was in warranty, then it definitely isn’t once someone that’s unauthorized starts poking around in there. Just a few helpful tidbits~! If you need anything else please feel free to reach out to us. 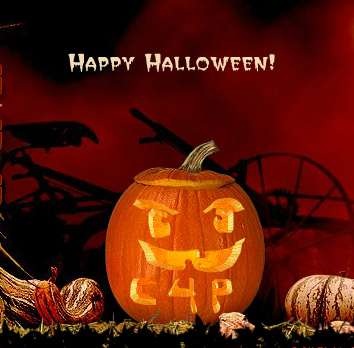 Have a safe and Happy Hallowe’en!